BARCELONA – March 3, 2015 – At Mobile World Congress 2015, Telecom Italia and Cisco announced that Telecom Italia intends to deliver new Cisco-enabled managed business services, including Cisco Meraki, to organizations throughout Italy as part of its innovative LAN management offering. Embracing technology from Cisco Meraki, the leader in cloud controlled Wi-Fi, routing, and security, Telecom Italia will offer a modular and complete set of services for managing and operating business customer networks, while providing deep application control for a superior end-user experience. Additionally, Telecom Italia and Cisco announced their intent to work together on the development of additional cloud managed services based on Cisco's comprehensive virtualization and orchestration software platform that creates, automates and provisions services in real time across compute, storage and network functions. This will enable Telecom Italia to provide businesses with easy-to-deploy offerings, centrally managed from the cloud, with complete visibility into the network landscape. Telecom Italia will also validate Cisco Intercloud Fabric and Application Centric infrastructure, which will enable them to build highly secure hybrid cloud Nuvola Italiana services. Over the last two years Cisco and Telecom Italia have partnered to deliver cloud and managed services for the Italian market, ranging from Infrastructure-as-a-Service (IaaS) to Unified Collaboration within the Nuvola Italiana brand. Telecom Italia has achieved Cisco Powered certification for IaaS, TPaaS and HCS service, enabling the provider to play a major role in delivering cloud capabilities to the market. As an example of this strong relationship Nuvola It Comunicazione Integrata, based on Cisco Hosted Collaboration Solution (HCS), in less than three quarters from the commercialization, received more than 25,000 end-users contracts signed with an increasing pipeline. The small medium business (SMB) market segment has great upside potential within the fast-growing managed network and communication services market, which is expected to grow to $62 billion dollars by 2018. (sources: MarketsandMarkets, U.S. Census, Cisco Analysis). Today, enterprises and SMBs are looking for highly secure and scalable services– complete with instantaneous ramp up, flexibility and personalization capabilities at a much lower cost than traditional enterprises. However, for service providers, the high cost of customer acquisition, manual network provisioning and management, and ongoing customer support needed for SMBs have made it far too challenging to offer such services to that market profitability. "Forward-thinking and innovative service providers like Telecom Italia have the opportunity to create significant new value over the next 10 years through the Internet of Everything (IoE)," said Kit Beall, area vice president of worldwide architectures, Cisco. "We are very pleased to be working closely with Telecom Italia to provide leading cloud and virtualization technologies that will transform their network architectures, as well as their businesses." "The partnership with Cisco strengthens Telecom Italia leadership in Italian ICT market," said Simone Battiferri, Executive Vice President - Business Market, Telecom Italia, "and the ability of the two companies to innovate is one of the keys to succesfully address market needs with always more relevant effectiveness. 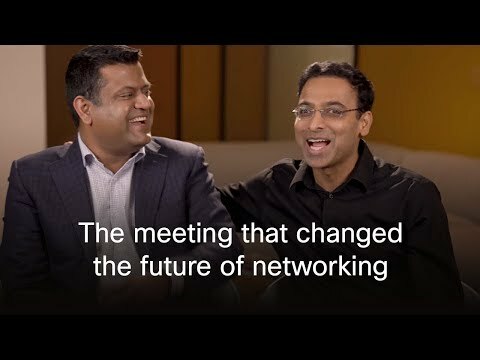 We will work closely with Cisco to continue to make real the Fast IT for our customers." Telecom Italia is the main ICT group and the technology partner of Italy to embrace digital. Abroad its strength is Brazil, where TIM Brasil, is a major player on the market. Its portfolio includes telecommunications, internet, digital contents, cloud services, digital platforms, office and system solutions. Group's strategy is focused on innovation and over the 2015-2017 period it will be investing 5 billion euros on new generation technologies, cloud computing, new Date Centres, to support enriched connectivity through innovative and digital services. The goal is to reach 75% of population with the new fixed ultrabroadband and 95% with the mobile one. In Brazil, too, the focus is on developing new generation infrastructure, with an investment of over 4 billion euros by the end of 2017.